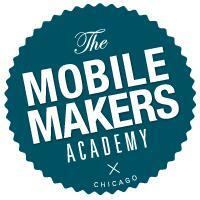 Learn by making with Chicago-based Mobile Makers Academy. This 8 week, fully immersive program is backed by one of the largest mobile agencies in the world and is designed to transform beginners and novice makers into employable mobile engineers. It is a fusion of real work experience, mentorship, training, career coaching, and apprenticeship. Participants skill up in iOS development while building native apps in collaborative teams led by professional developers and learning experts.